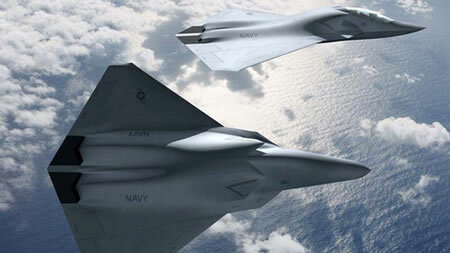 The USAF is imagining a sixth-generation fighter plane, one able to perform the tightest maneuvers. How can pilots survive those high-g turns? Easy. The pilots won't be in the plane. ASC/XRX is conducting market research analyses to examine applicable materiel concepts and related technology for a Next Gen TACAIR capability with an IOC of approximately 2030. The envisioned system may possess enhanced capabilities in areas such as reach, persistence, survivability, net-centricity, situational awareness, human-system integration, and weapons effects. The primary mission in the future Next Gen TACAIR definition is Offensive and Defensive Counterair to include subset missions including Integrated Air and Missile Defense (IAMD), Close Air Support (CAS) and Air Interdiction (AI). It may also fulfill airborne electronic attack and intelligence-surveillance-reconnaissance capabilities. This is not an all-inclusive list and the Next Gen TACAIR definition will mature and sharpen as the market research and Capabilities Based Assessment (CBA) unfold. The ongoing CBA is assessing potential capability gaps, while this CRFI will support a concurrent market research assessment. The future system will have to counter adversaries equipped with next generation advanced electronic attack, sophisticated integrated air defense systems, passive detection, integrated self-protection, directed energy weapons, and cyber attack capabilities. It must be able to operate in the anti-access/area-denial environment that will exist in the 2030-2050 timeframe. 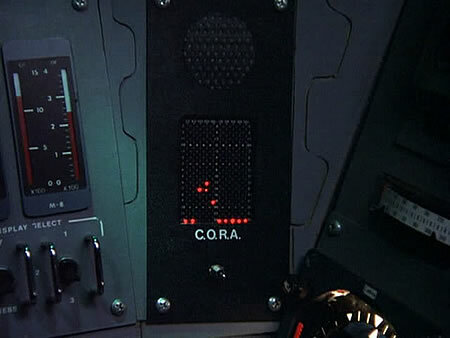 Fans of the original Battlestar Galactica series recall CORA, the "Computer, Oral Response Activated device that can pilot a Recon Viper fighter with remote instructions from a pilot. From Next Generation Tactical Aircraft via Gizmodo. Thanks to Moira for the tip and references for this story.